BREXIT: Mutton dressed up as Lamb? 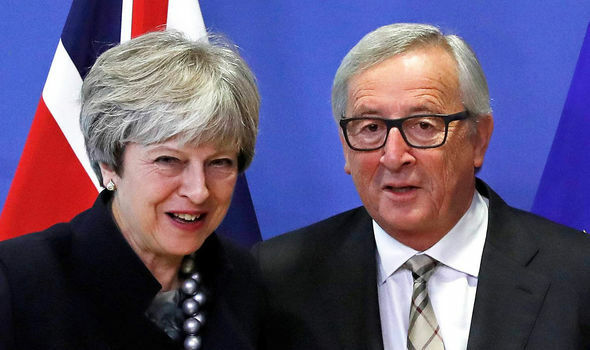 At the weekend most of the press and media showed Theresa May alongside Jean-Claude Juncker, the European Commission President, to announce that agreement had been reached on a deal, allowing progress to stage two of the BREXIT negotiations. This was presented as a huge breakthrough and a triumph for Mrs May. She certainly appeared more relaxed and happy than she has done for a while. But just as Churchill sold Dunkirk as an epic victory, so Mrs May (and the EU) want us to believe that the British decision to free itself from the clutches of European bureaucracy, is on its way, when the small print (in which of course the devil lies concealed) says different. In a manner of speaking, the smiles belie the truth of the matter and that the deal is in fact 'Mutton dressed up as Lamb'. There is no doubt that the 2015 Referendum was a close run thing proving only that the country was almost equally divided on whether to stay or leave, roughly 48/52% in favour of the latter. This it should be said despite politicians and media largely wanting to remain. It was therefore undoubtedly divisive of opinion, politics and the the European Union itself. Mrs May was pro-Europe and yet has been forced to lead the retreat. Her position was undermined yet more by the voters that deserted her when, contrary to all her statements, she called a snap election in June 2016. Her position in Party and Parliament is tenuous to say the least, and paradoxically she is kept in power more by the pro-Europe Labour Party than by her own side. Rebels are kept in check by the fear that the now more popular Corbyn might squeeze himself into power with the support of other parties. The EU was equally worried with a Socialist British Government. Strange that when the EU is meant to have socialist principle woven into its very fabric. All the more necessary to present the agreement as a May triumph to bolster her position domestically, when close examination shows it to be a sell-out and capitulation. It seems more than likely that both sides are relying on time and conditions to negate any real British exit or independence from the European structures or objectives of coalescence. So what has actually been agreed at this first stage of the negotiations and what are the practical implications? First it would appear that the EU has obtained its pound of flesh, without it would seem the letting of any blood. Despite having been a substantial net contributor to the club both in terms of payments and trade (second biggest after Germany in the first category but the biggest if the two are taken into account) over forty-five years, yet more is to be wrung from the British Taxpayer, already suffering the effects of the longest financial stringency, in which the poorest have been hit the hardest. Who's money is it that Mrs May has agreed to donate to the European Club, even when we are no longer a member of it? Is their need greater than our own? Was not the EU's negotiating position merely a modern form of blackmail and ransom that has succeeded in its aim with the connivance of the British Government? Smiles all round - but on what terms? Money: So Britain will formally leave the EU in March 2019 but this will be followed by a "transition period" of at least two years. We will continue to pay for 2019 and 2020 plus presumably something in the transition period, in all amounting to about 50 billion pounds, worth even more to the EU now the pound has sunk against the Euro. In addition Britain has agreed to pay for any agreed liabilities such as pensions and contributions to joint projects, presumably determined by the EU. Perhaps we should also note whether in the same period the EU intends to continue its funding of UK projects? If not, the net cost to Britain will be even greater, as we won't get anything back. Borders: No hard border between Northern Ireland and the Republic. If NI is to remain border less with the rest of the UK as the DUP demand, effectively the status quo will have to be maintained at least in Ireland. David Davis has already admitted that the Government hasn't bothered to consider the consequences of the changes, which must I would have thought amount to either gross negligence, apathy or because the government doesn't intend there to be any. Security Co-operation: What this means in practise is hard to say, such subjects by their nature are wrapped in secrecy. If there has been co-operation in the past, it has been singularly and obviously ineffective in preventing the catastrophic terrorist attacks - if so they were - and of the the transfer of criminals across borders to commit further crime. What we have witnessed on the back of these however, is a uniform attack on citizen protections from surveillance and government interference by an increasingly militarised and aggressive police force. It looks as if the Government thinks we need more not less of the same. Military Union: Nor is it a secret that the EU wants greater unity in the areas of the military and foreign policy. Will we be part of this or not. Certainly all the noises have to date been cooperation with both France and Germany regarding army and navy, arranged without reference to Parliament, which has been sidelined throughout. It would appear Mrs May and the EU are actually supportive of a sort of bureaucratic dictatorship throughout. It has been stated that if member states don't agree to the implicit aspects of a United States of Europe they will be expelled! Judicial Control: Since entering the EU, British Law has been subservient to EU Law in all the areas covered by Treaty obligations. It has been agreed that this situation will continue for at least eight years following withdrawal - in other words up to 2028 at least and who knows what the political or economic scene will be by then? One thing is sure, a country that cannot control its own laws cannot be considered sovereign in any real sense. All in all it would appear the club we got into is damned hard to get out of and this before it has even started discussing trade terms, which it still likes to hang as a sword of Damocles over our heads. If these are our European friends who needs enemies? And if our negotiators have now got the best deal they can, let's thank god we didn't have incompetent ones. 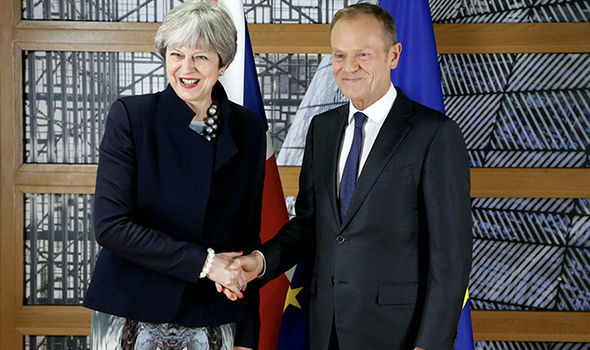 Perhaps just as the EU was anxious to present the existing agreement as a 'breakthough' after over a year of discussion - and Mrs May as its triumphal achiever - so both sides have in fact played a deceptive hand intent on delay to play for time and a possible reversal of policy when the British public realises what a bad deal has been negotiated. What is the point of BREXIT if we retain all of the disadvantages whilst being excluded from the top table. "Back to the drawing board chaps!" Rees-Mogg wins PM poll. Mr Rees-Mogg: 27 06; Mrs May: 666!!! The question is why can foreign business make manufacture in the UK profitable when British managers couldn't? Clearly it wasn't fundamentally the British worker per se, so what was the cause? Similarly Government for the last fifty years appears to have worked to sell off our assets and undermine the manufacturing sector, now down to only 10% of the economy. Now May leads an utter sell-out to Brussels in exchange for more imports from the EU. Could we have been worse run if ALL the political leaders were either bribed or blackmailed or working for foreign governments? 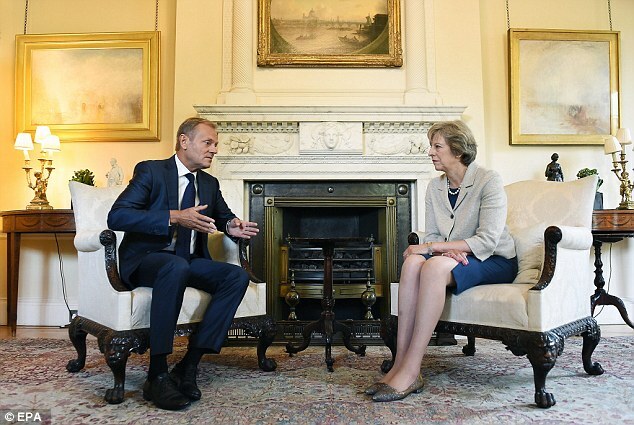 The EU bigging up Theresa May for political purposes. When 27 leaders applaud her, we know its a very good deal for them and a very bad deal from us. What is the point of paying the EU countries BILLIONS if we get no advantages or committments? Why not just leave in 2019, save 50 billion and take our chances in the big market? Does the EU really want to lose our market and expertise?